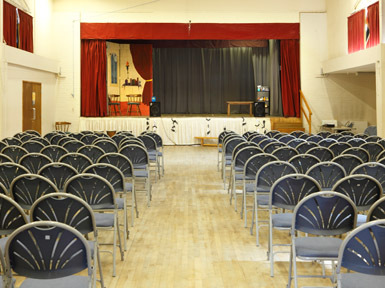 Buckden Village Hall is a multi-functional facility located in the heart of the village, for the use of residents and those from outside the village. We have a range of Clubs and Societies using the hall which offer regular activities including various exercise and dance classes, Karate, Model Railway and two Life Drawing Art Classes. We are also used by those providing professional courses such as Diabetes UK, Alzheimer's Society, Guide Dogs for the Blind, Dogs Trust, BeNCH Sodexo, Early Years, Workforce Development and other departments within Cambridge County Council. Buckden Village Club, Buckden Library (www.cambridgeshire.gov.uk/library), Buckden Beauty Therapy Room, and Buckden Pre-school are also located within the Village Hall complex. 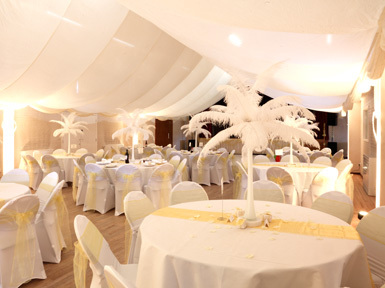 As we offer a Main Hall and three additional function rooms we are able to cater for all types of events – weddings, parties, conferences – and the Main Hall also has a licensed bar facility (via the Club) and fully equipped kitchen. 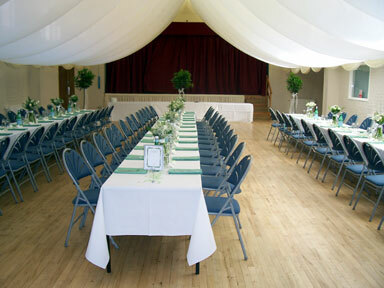 For further information on the Hall and function rooms, please click on the Facilities tab. Buckden Village Hall is a charitable trust, run by a voluntary committee of Trustees representing Village Clubs and village people. It is self-funded and independent of The Parish Council and Buckden Village Club. Three part-time members of staff are employed to administer and maintain the facility, but practical management and support from volunteers is welcomed. For more comments by users, go here.